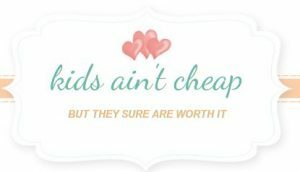 You are here: Home / Parenting Blog at KidsAintCheap / Site News / Our Family Coupon Directory is Now Live! Our Family Coupon Directory is Now Live! We first took KidsAintCheap.com live on 10/1 but we knew we still had quite a bit of work to go before we were officially done with our launch. We still aren’t finished but we are getting closer. We just recently launched our new coupon directory. Our focus will be on coupons and promotions that are family oriented. We will be featuring mostly things that will help parents save money on things they need or want to buy for their children. The directory is new but we are adding to it every day. Please take a moment and check out the new addition to our site. We would love to get some feedback and hope you will check out our coupon directory before spending your money online. Don’t pay full price if you don’t have to. You can check it out at Family Coupons Directory.